Professor Jessica Corner, a world-leading expert on cancer and palliative care, has been appointed a Dame Commander of the Order of the British Empire (DBE) in the Queen’s Birthday Honours List, for services to healthcare research and education. 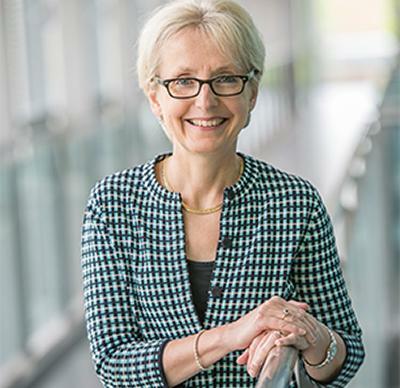 Over the past 20 years Professor Corner, who is Dean of Health Sciences at the University of Southampton, has divided her time between universities and cancer research charities. Her passion and dedication have paved the way for nurses to become a more central and pivotal force in the care given to people with cancer. Professor Corner changed the culture of cancer research from the almost exclusive preoccupation with the challenge of discovering the scientific basis of cancer and new treatments to a position where patient support is placed centre stage and nurses now have significant responsibility in leading supportive care. New nurse-led interventions, devised by Professor Corner, directly led to improved outcomes for patients with cancer, her internationally recognised clinical trials have changed how nursing is undertaken and provided insights that have informed new national initiatives to improve the support of people with cancer. She led the first trials of non-pharmacological treatment for breathlessness in lung cancer, now part of national and international lung cancer guidelines. She also led the first randomised trials of nurse led care in cancer now recognised worldwide as landmark studies in advanced practice nursing. Her research has also brought new insights to help diagnose lung cancer earlier. As well as her university appointment, Professor Corner is Chief Clinician for Macmillan Cancer Support, acting as a key internal and external advisor on clinical and service delivery issues in cancer and end of life care. In this role she has worked on a range of initiatives such as the National Cancer Survivorship Initiative, and she has had a significant role in national efforts to improve patient experience through the release of data reflecting the performance of all NHS Trusts in England. She also spent a three year secondment at Macmillan as Director for Improving Cancer Services (2005 – 2008), where she had overall responsibility for developing services and initiatives for people affected by cancer. Her work led to the creation of a major new helpline and customer response system. In 2012 she became a member of the Prime Minister’s Nursing and Care Quality Forum. She is also the Vice Chair of the Council of Deans for Health, the UK mission group for higher education institutions in preparing health professionals in nursing and allied health. She currently co-chairs the NHS England Cancer Patient Experience Advisory Group, and was previously a member of the Department of Health Cancer Reform Strategy for England, chairing the Patient Experience working group.